This year's palette inspirations are soft and subdued. A lot of natural tones are finding popularity over bright pops of color. Metallic decor is still highly desired and soft pinks, blues, and mauves are the perfect compliment to these lustrous silver and gold details. Lush greens like eucalyptus and dusty miller with their subtle almost smoky green color are a great choice to pair with the overall palettes. Below we've chosen 4 of our favorites for the 2018 season. Enjoy! Elegant and understated, Dusty Rose is subtler than a true pink. Dusty rose transitions well and can suit sophisticated palettes or more laid back decor. This color pairs beautifully with creams, greens, and even navy. For our inspiration palette, we chose the soft pairing of Dusty Rose, Cream, & Sage. Black and white may be the boldest color pairing on our 2018 palette list (and that's saying something!). This classic never goes out of style and can be very sophisticated especially paired with metallic gold. For a black and white look, we recommend sleek details like an all-blossom bouquet for a striking touch. Powder Blue can be both sweet and elegant. This shade of blue is lovely with creams and whites as well as blush and chartreuse. 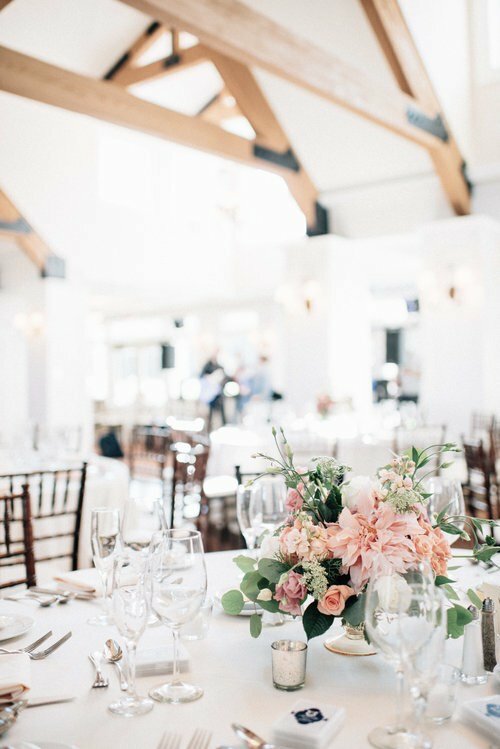 Paired altogether powder, blush, and cream can be an especially beautiful mix. 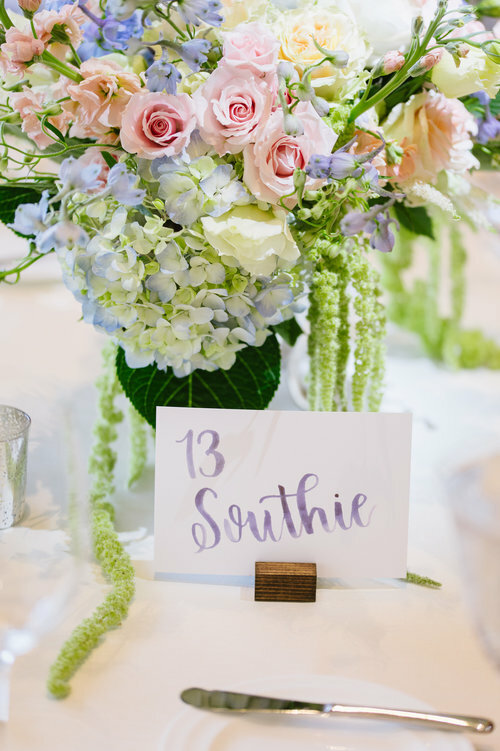 The subtlety of color is perfect for Spring and Summer weddings. Green heavy weddings are huge for 2018 and we love this look. A palette of all greens is fresh and can be utterly elegant. Pair with cream blossoms to compliment the greens themselves. We love mixing various kinds of greens for a richly textural look.